"We're a singer-songwriter duo out of New Orleans. 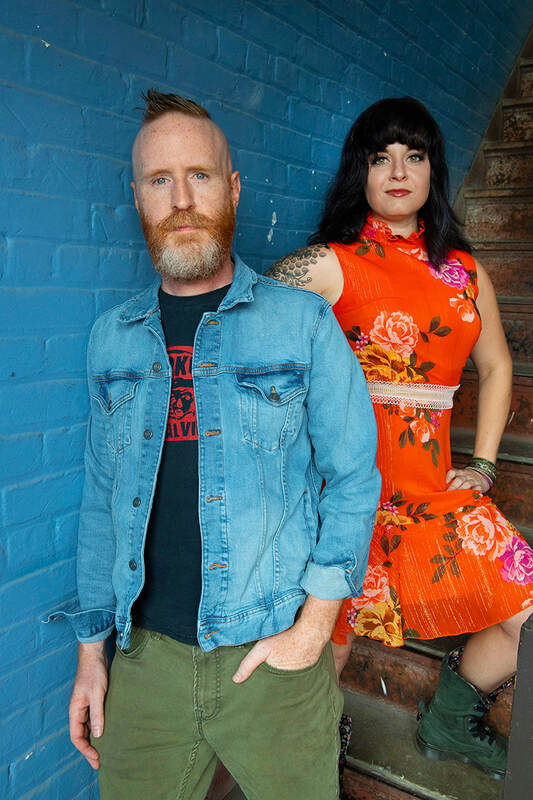 One of us is soulless (called the Ginger), the other is generally a little angry (called the Bee)"
​Ginger and The Bee is a original rock/pop/alternative band out of New Orleans, Louisiana. Members Sherri Montz and Scott Frilot started writing and recording music together in June of 2015. Aided by Grammy Award Winner Chris Finney, the band has put out their debut release. The band's history goes back to when Sherri, while in her band The Vinyl Girls, needed a new guitar player. So you might ask, "Why is Scott in the 'all-girl' cover band if it's supposed to be an all-girl cover band?" As fate would have it, The Vinyl Girls were recruiting a new guitar player back in June of 2013. Sherri reached out to Scott to see if he knew any female guitar players, or guys who weren't intimidated by girls who rock. With no hesitation, Scott told her he'd do it. While still playing with in his band Slack Adjustor, Scott immediately started playing shows with The Vinyl Girls. Eventually, schedules if both bands' members became increasingly complicated, except for those of Sherri and Scott. So they decided to start another side band. The band started out playing acoustic sets, consisting of mostly covers with a couple of original songs. The two decided it was easier to write songs than it was to learn covers, so they began to write more original music. They recorded what they thought would be a couple of demos on an iPhone. The demos eventually morphed into full fledge recordings. With a little mastering help from Chris Finney, the songs instantly gained some validity. They were real. Today, the band still records most of their music on an iPhone through Garage Band (yes, Garage Band).